Organization isn’t just for the prettiest parts of your home—it can also make a huge difference when you’re building, tinkering, or fixing. After all, who wants to spend the whole afternoon rummaging around for that wood screw that you could swear you just saw a second ago. It’s especially frustrating when you’re elbows-deep in sawdust and have already made two trips to the hardware store today. Remember when Dad would disappear into the garage and all the sudden you’d hear a streak of swear words from that general direction? This is why! Fortunately, there are all kinds of implements and instruments designed so that home repair and home organization can live in blissful harmony. With some thoughtful space usage and neat hanging gadgets, you can build a workstation that would make Dad proud. Here’s how! To say that this stuff is a hard worker would be putting it mildly. 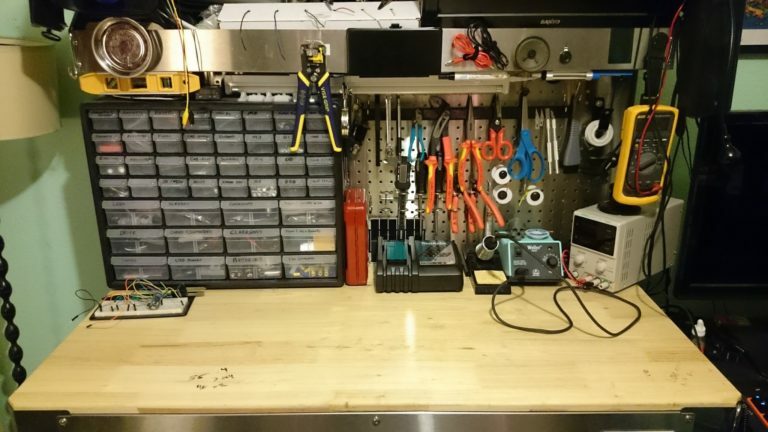 A pegboard backing against your workbench lets you add tons of organizational functionality to your wall. Need it to hold a hammer? Will do! How about your screwdriver set, wire dispenser, or metal brush? Pegboard accessories cover a wide range of needs—everything from your standard hooks and pegs to drill mounting equipment or open bin hangers for bolts. 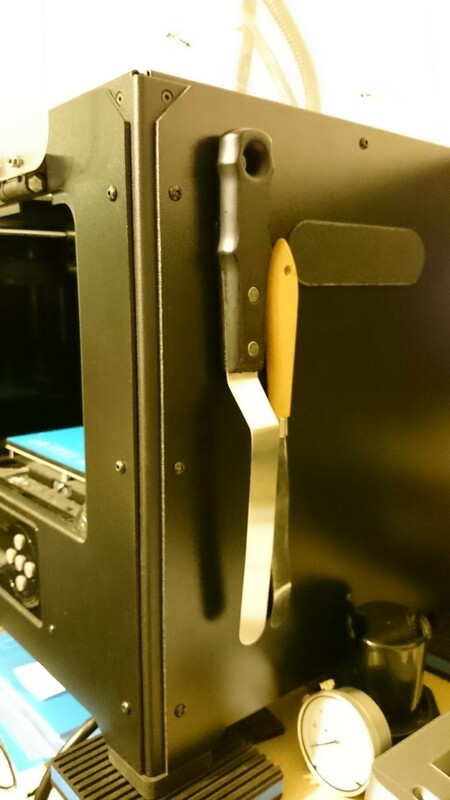 Hanging systems let you clear the junk from your workstation, while keeping it nearby in case you need reinforcements. You don’t have to be a DIY genius to see this idea’s attraction. Tools like wrenches, pliers, and scissors are natural candidates for magnetic strip hanging systems: they’re flat, made of steel, and are best when they’re stored out of the way. All it takes is a roll of magnetic tape, and you’ll have a powerful storage station up and operating—in less time than it takes to wonder where you stuffed those needle-nose pliers. Some of us have luxurious garages with a massive workbench and tons of room for rolling storage units—and some of us have to share our workspace with a lawn mower, a washer and dryer, the kids’ toys, and a car. Luckily, your setup probably has some extra square footage that you haven’t even accessed. 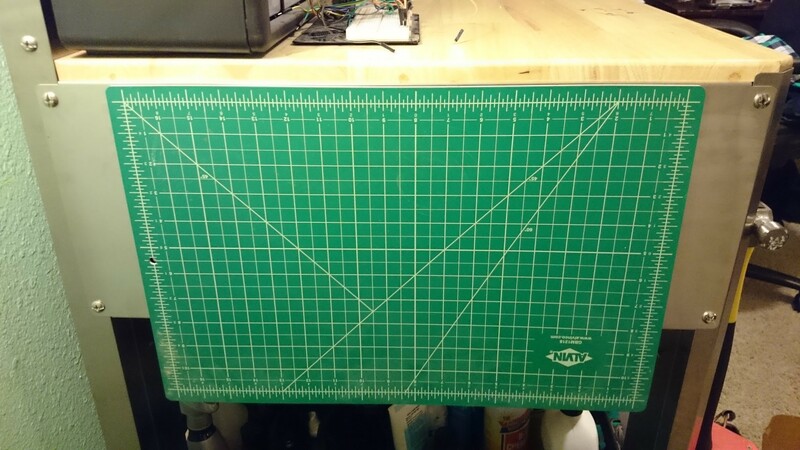 The sides of tool carts, workbenches, toolboxes all offer an untouched spot to stick odd-shaped or delicate instruments, like a speed square or drafting board. 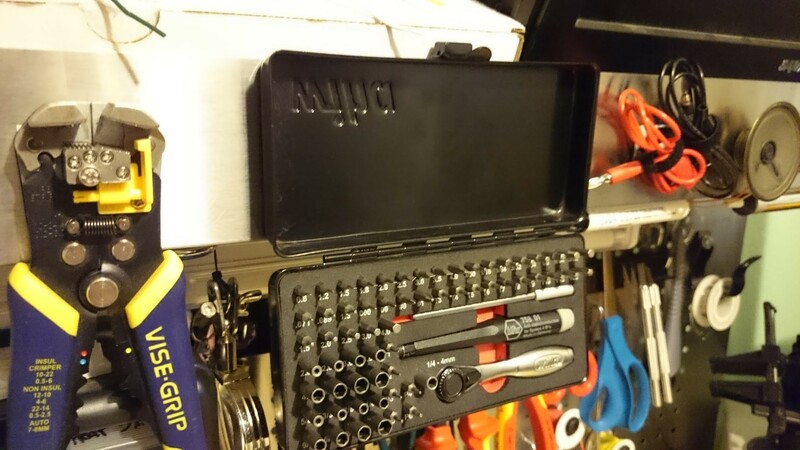 Want your toolbox to stay pristine? Use a removable wall fastener, like VELCRO® Brand HANGables™ removable wall fasteners, and they’ll be easy to take off when your toolbox needs to go mobile again. If you’ve done any kind of home improvement projects before, you know that the tools make the man (and the plumbing repair, and the drywall replacement, and the cabinet installation). The right nails or screws can mean the difference between a shelf that stays up and one that goes down the first time you use it. A small parts organizer, like a storage cabinet or bin wall rack, keeps those little pieces sorted so you can keep your cool. Just make sure to add labels. When you’re deep in the throes of a project, it’s easy to mix up the galvanized nails for regular steel fasteners—and we all know how well that will turn out! Not into sifting and sorting your tools? 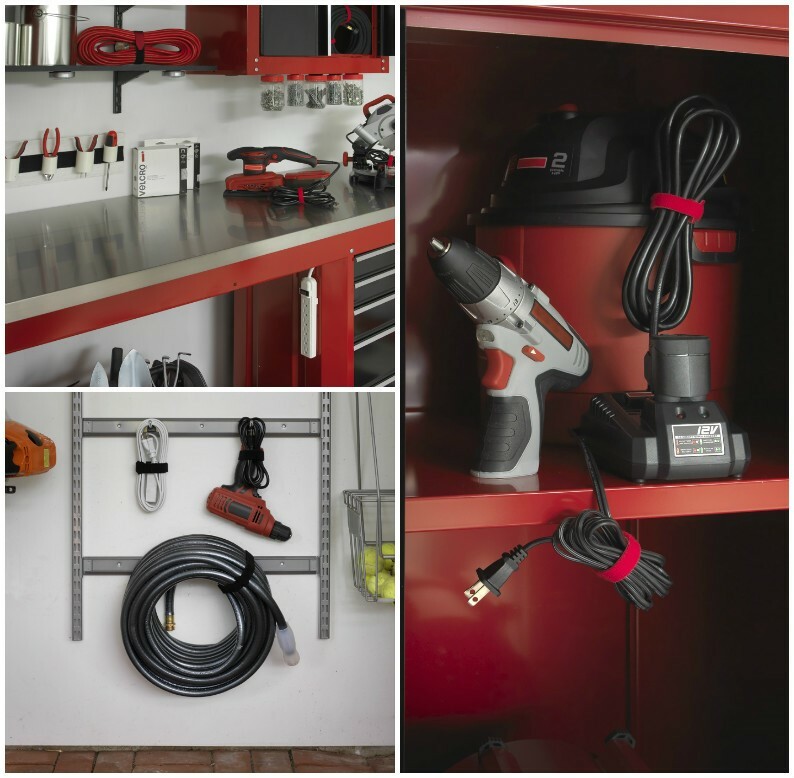 Toolsets that come with built-in organizers, like a bit set, can be mounted directly on the walls for instant organization. I love this one because it’s so simple: you just position the set vertically so that it opens outward, then keep it all up with heavy-duty wall fasteners. Talk about a fast fix! In a workstation, loose cords aren’t just messy-looking, they’re extremely dangerous, too. Put yours in their place with adjustable VELCRO® brand straps that can also be attached to wall hangers to keep your cords well out of the way. And unlike zip ties, these can be used over and over again, so hanging them back up is a cinch. Never having to hunt down the right screw, nail, or washer again? Now that’s what I call a nuts-and-bolts operation! 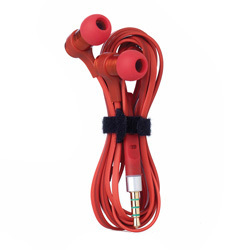 Say goodbye to the frustrating knot of cords in your bag. ONE-WRAP® Ties keep everything contained and organized so that you don’t have to waste your time untangling your headphones or power cords when you need them most.